Weekday Masses – Monday through Saturday, 8:00 AM, no mass on Thursday. Reconciliations (Confessions) – Saturdays, 3:30 PM to 4:00 PM or by appointment. Weddings must be arranged a minimum of 6 months prior to the desired date of the wedding. The couple must meet with the pastor, fill out a pre-matrimonial inventory, and discuss the results of the inventory at additional couple/pastor sessions. The couple is also required to attend one Pre-Cana event sponsored by the Diocese. In the case of one or both of the persons being under 18 years of age, an additional session with a Catholic Family Services counselor is required. After these requirements have been met, the couple may schedule their wedding date. Please call the Rectory at 729-2504 to schedule an appointment. Baptisms are performed the first and third Sunday’s of the month after the 11:00 A.M. Mass (12:00 Noon). First time parents only must attend a Pre-Baptismal class. These classes are conducted the first Monday of the odd months of the year, from 7:30 P.M. to 8:30 P.M. in the Church. If possible, both parents and godparents should attend. A Baptismal Registration form is filled out at the beginning of the class. This is required as proof that parents have attended the class, while providing all necessary information about the child being baptized. If Godparents are not members of St. Michael Parish, they must present a Sponsor Certificate signed by the pastor of the church they normally attend. This must be presented on the day of baptism of the child, or sent to the rectory in advance. 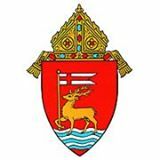 Parents who are not registered parishioners, will be asked to fill out a Parish Census form as well as a Baptismal Registration form. Parents who are parishioners of other catholic parishes may wish to have their child baptized at St. Michael Parish. If so, they must obtain permission from the pastor of that parish. If you are considering this, please contact Fr. Mathai in advance. If you have any additional questions, please call the Rectory at (203) 729-2504, and we will be happy to assist you. THE NEXT BAPTISM CLASS WILL BE HELD MONDAY OCTOBER 1, 2018. PLEASE CALL THE RECTORY TO REGISTER.